Knightsbridge Robertson Surrette is pleased to have assisted Huntsman Marine Science Centre with the appointment of James A. Smith as Executive Director. Jamey brings to the organization over 30 years of experience in work related to socio-economic, environmental and natural resources development and extensive knowledge of governance, financial and administrative processes. 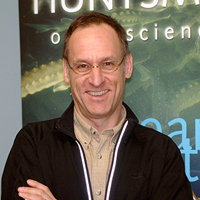 Prior to joining Huntsman, Jamey was Director, Certification and Sustainability Reporting, Aquaculture Management Directorate, for Fisheries and Oceans Canada. He completed his Ph.D. (Aquaculture-Environment Management) at the Institute of Aquaculture, University of Stirling, Scotland, where he was designated Commonwealth Scholar. "Jamey’s deep understanding of coastal and ocean sectors, combined with his outstanding leadership skills, impressive academic background and intrinsic ability to build and grow relationships promises a great future for Huntsman,” says Fraser Walsh, Board Chair. “We are pleased to welcome him as our Executive Director as we continue to deliver to our communities the highest quality marine research and education in support of sustaining the marine environment and economy." Please join us in congratulating Jamey and welcoming him to Huntsman Marine Science Centre.